News emerged last week that Cork’s bike share scheme is to be expanded, but Waterford Green Party candidate for the upcoming local elections, Marc Ó Cathasaigh, has called for Waterford city to get its fair share. Mr. Ó Cathasaigh, who is also chairperson of the Waterford Cycling Campaign, believes that the Coke Bikes model which has been rolled out in Cork, Limerick and Galway can also be successful here in Waterford. “We’ve seen the success and popularity of the bike share schemes in other cities,” he says. 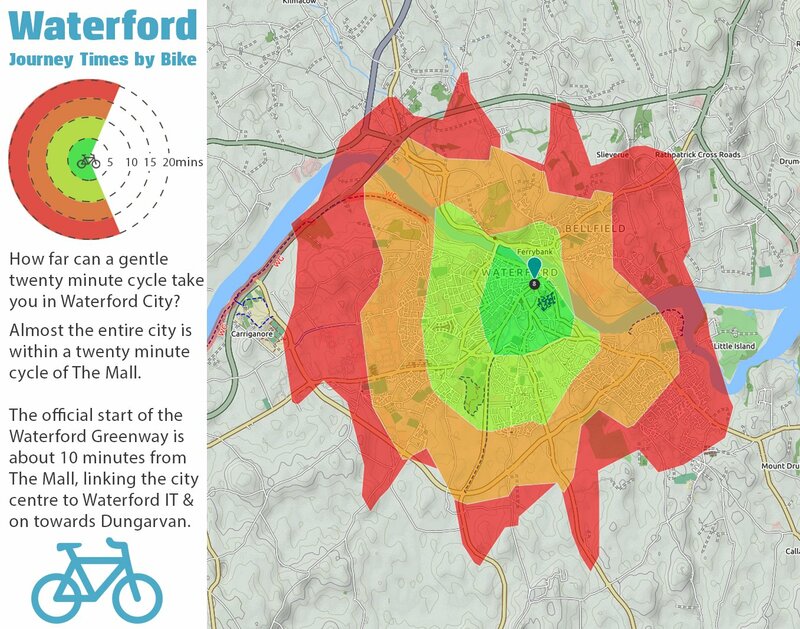 Despite perceptions of Waterford being a hilly city, mapping work done by the Dublin Cycling Campaign shows that the majority of the city can be traversed in less than that 30-minute window, with both WIT and University Hospital Waterford reachable from the Mall in less than 15 minutes of leisurely cycling. “Waterford, thanks in no small part to the Greenway, is fast getting a reputation as Ireland’s cycling capital,” says Mr. Ó Cathasaigh, who is running for election in the Waterford City West/Tramore electoral are of the Waterford Council. "The Coke Bikes scheme, which operates in Cork, Limerick and Galway has operating costs of €1.1 million per year. Roughly half of these costs are derived from users’ subscriptions, with the remainder being paid by the NTA."